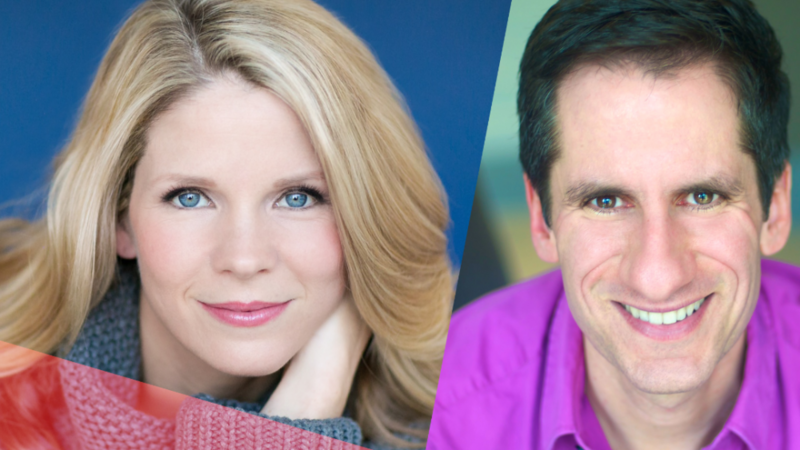 Last night, for one-night only, the Tony Award winning actress and singer Kelli O’Hara, joined the redoubtable Seth Rudetsky (as great a champion of Broadway that we have), for an evening of stories and song. The fact that they are friends made for a comfy experience, since for much of the night, they sat in well-upholstered chairs as if in a living room, instead of what it was: the vast stage of The Town Hall (yes, it’s now called “The” Town Hall, for some odd reason). Rudetsky has this whole host/accompanist thing down pat, as he’s been doing it for years with the likes of other good friends; musical theatre superstars such as Audra McDonald and Jessie Mueller, to name only two. With O’Hara as his special guest, this is the second in this series (the first was McDonald last November), and the next will be on March 11th with Jeremy Jordan, the star of Newsies and Bonnie and Clyde. What I liked most about this format is that instead of a performer in his or her well-constructed cabaret act, what we get is a moment-to-moment free for all, with Rudetsky jumping from song to story to song, resulting in a spontaneity that even if it’s roughly rehearsed, yields amazing surprises (or as Rudetsky would say “ah-mahzing!). The singers aren’t really clued in to what Rudetsky will ask them to sing (although they certainly have a good idea, as the songs match their career highlights), which leads to interesting choices in tempo and performance (or at least they did last night). I found the whole thing refreshing, and it was a delight to reacquaint myself with the talents of Kelli O’Hara, as they are formidable. As most of her fans know, O’Hara grew up on a farm in Oklahoma, far away from Times Square (much humor was wrung from this by Rudetsky, who grew up in the suburbs of Long Island). Blessed with a sparkling, wide-ranging soprano, O’Hara came to New York at a young age. Though she rose up through the ranks slowly, it was a rise that was steady and certain. She really is the complete package, with charm and wit, grace and beauty, and a wonderful interpreter of the Great American Songbook. Her Broadway debut was in 2000 as a replacement in Jekyll and Hyde, after which she was part of the first Follies revival in 2001. Then came her stunning success in the otherwise unsuccessful Sweet Smell of Success (2002), which introduced her as a force to be reckoned with. While waiting patiently for The Light in the Piazza to come to Broadway (she had participated in workshops and regional productions of it for a few years), O’Hara took a role in Dracula, a Frank Wildhorn musical that was—to put it mildly—a travesty. Gladly trading in her vampirish yellow contact lenses and fangs for the clear-eyed purity of Clara in Piazza, O’Hara received the first of what to date are six Tony Award nominations. In quick succession, her personal triumphs on Broadway were conspicuous: The Pajama Game, South Pacific, Nice Work If You Can Get It, The Bridges of Madison County and The King and I, for which she finally took home the Tony. O’Hara’s next Broadway musical, which she is currently in rehearsals for, is the second Broadway revival of 1948’s Kiss Me, Kate. Performing “So in Love” as an encore was a quick glimpse of what it’s going to be like to hear her sing Cole Porter’s luscious score at Studio 54, when the show begins previews on Valentine’s Day, prior to its opening a month later on March 14th. Seth Rudetsky in Performance and Conversation continues March 11th with Jeremy Jordan at The Town Hall, 123 W 43rd Street, NYC.